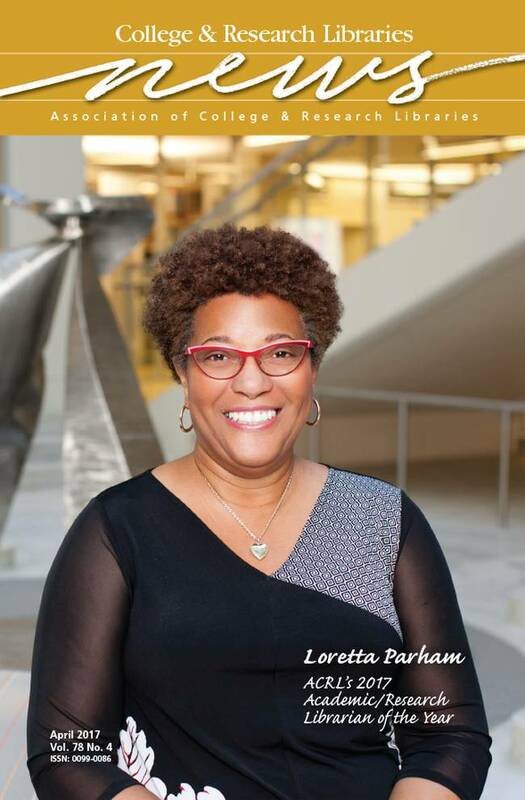 Loretta Parham, CEO and director of the Atlanta University Center (AUC) Robert W. Woodruff Library, is the 2017 ACRL Academic/Research Librarian of the Year. Highly respected by the library and higher education communities, Parham tirelessly worked to transform the Robert W. Woodruff Library—shared by Clark Atlanta University, the Interdenominational Theological Center, Morehouse College, and Spellman College—into a modern 21st-century research facility known for its distinctive spaces and service. Under her leadership, the library is widely recognized for its outreach to students, faculty, AUC alumni, and the wider Atlanta community. Parham is also known as a champion for librarianship and higher education, advocating with passion and clarity for Historically Black Colleges and Universities, their significant special collections, and their value regionally, nationally, and globally.